Tests of the unitarity of the Cabbibo-Kobayashi-Masakawa (CKM) matrix offer an important avenue for constraining the Standard Model of the electroweak interaction. Several methods are currently used to determine Vud, the largest element in the top-row normalization test. One such method is through the study of superallowed T = 1/2 mixed mirror transitions, which offers a complementary method to the current most-precise value that is determined from superallowed pure Fermi 0+ → 0+ transitions. The precision currently achievable by this method is currently limited by the very low number of transitions for which the Fermi-to-Gamow-Teller mixing ratio ρ has been measured. 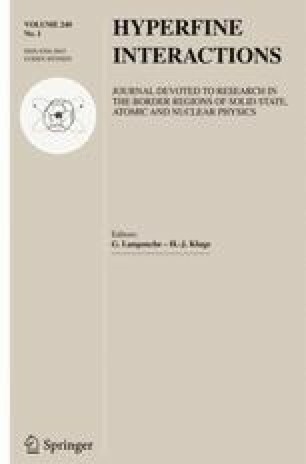 St. Benedict, the Superallowed Transition Beta-Neutrino Decay-Ion-Coincidence Trap, is currently under development at the University of Notre Dame’s Nuclear Science Laboratory, and intends to determine ρ for a range of new isotopes through measurements of the β-neutrino asymmetry parameter aβν using a linear Paul trap. In order to trap these ions, the fast, continuous secondary beam separated by the TwinSol twin solenoid separator must be thermalized and bunched. The system through which this will be done will feature a large-volume gas cell in which the ions will be thermalized, a double-RF-funnel-based ion guide system for the extraction of the ions, and a radiofrequency quadrupole (RFQ) to provide cooled ion bunches for capture in the Paul trap. This work was conducted with the support of the University of Notre Dame; the National Science Foundation under Grants No. PHY-1725711 and PHY-1713857; and of the Department of Energy, Office of Science, Office of Nuclear Physics under contract No. DE-AC02-06CH11357.